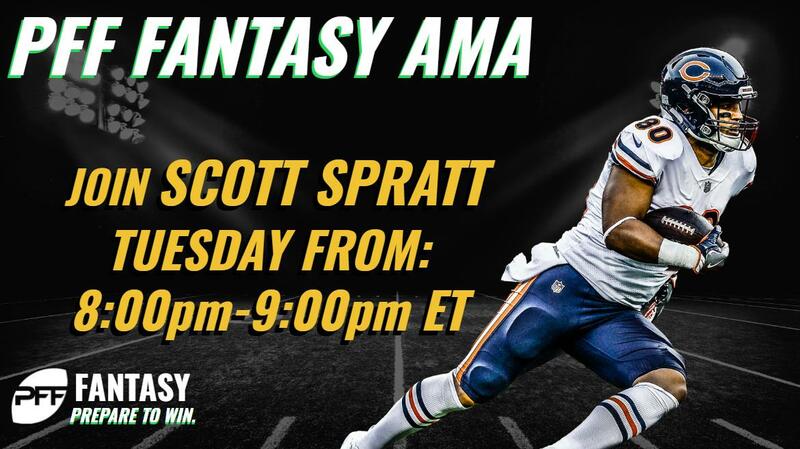 Join PFF Fantasy writer Scott Spratt Tuesday 8-9 p.m. ET for a live fantasy AMA. We’re heading into Week 8, and whether you need to make a waiver claim to save your season, figure out key trades, or are just looking down the road, Scott can help.